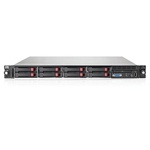 Hewlett Packard - 487790-001 487790-001 HP Proliant Dl370 G6 2 X Intel Quad-Core Xeon X5550 2.66GHz 12GB DDR3 SDRAM Serial Attached SCSI Raid Controller 64MB Integrated Graphics 4 X Gigabit Ethernet 4u Rack Server. New Bulk Pack. Dell - 400-ANOG 400-ANOG Dell 1.92TB Mix Use Mlc SAS 12GBPS 2.5Inch Hot Plug Solid State Drive For Poweredge Server. New Sealed With 1 Year Warranty.